If your Halloween plans are already figured out, you are my idol. 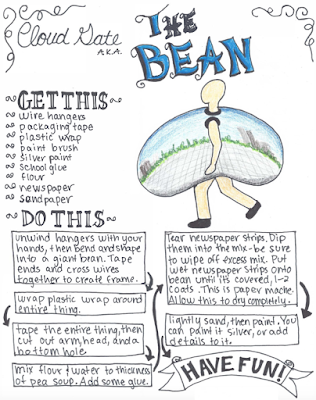 here are some ideas for finding the perfect Halloween costume and the perfect place to wear it! From our own Bucktown and Wicker Park neighborhood the following stores have great options for curating your costume. I’ve found anything from 80s sections that never end, and racks of prom and wedding dresses. 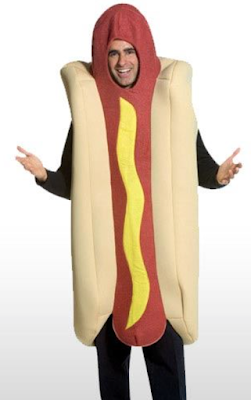 To wigs that I would buy even if it wasn’t halloween, and always the classic hot dog suit. Buffalo Exchange, 1478 N. Milwaukee Ave.
Crossroads Trading Co., 1519 N. Milwaukee Ave.
Ragstock, 1459 N. Milwaukee Ave.
Kokorokoko, 1323 N. Milwaukee Ave.
Halloween Hallway Costume Store, 1425 N. Milwaukee Ave.
Plus so many more vintage and costume shops in Chicago! So if you’re caught in between wanting to achieve your best costume ever, and/or maybe just watching a scary movie on the couch. What can it hurt to peruse one more list of Costume Ideas and where to find them. And while you’re at, a list of Chicago Inspired Costume Ideas. Because maybe you already have this lying around…and if not, (Chicago) hot dog suit! 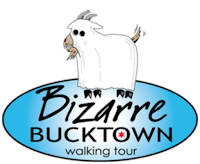 Our friend Gordon is back with a special Halloween edition of his Bizarre Bucktown Walking Tour! 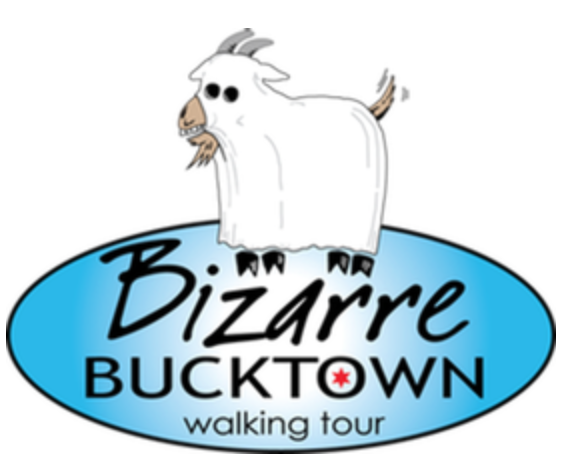 This 90 minute tour is guided by flashlight, and for this one, must be 21 or older as the tour ends with a drink at Club Lucky. Gordon dares you to ditch the dress-up ghosts and go after the real ones. I ask you to find a buddy early, because that system always works, right? Costume Party and Parade at Holstein Park. This park is right in our back yard and is always hosting wonderful events for the neighborhood! Boo-Palooza and Trick-or-Treating on the 606. This trail has continued to gain interest since it’s construction. 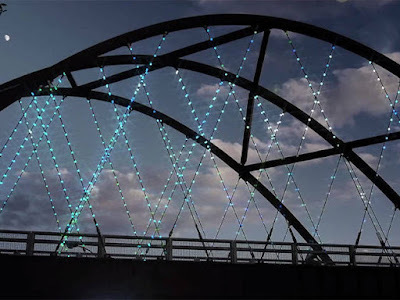 The flowers and greenery have come in, some seating areas now boast sculptural installations, and my favorite is the bridge overlooking Milwaukee Ave. that lights up at night. I can’t wait to see this overrun with little monsters 👽👾💀and to protect from any big kids stealing candy bags because that’s not cool (and people don’t forget). For events in downtown Chicago the Arts in the Dark Parade is happening this Saturday, October 21! A nighttime parade bringing together the variety of family and culture that define Chicago, and celebrating the artistry of our city and of Halloween. It's free, it's family friendly, and it truly has something for everyone! From groups marching in medieval armor, to local artists creating lanterns specific to this event, and even a mariachi band. Plus! Where else can you go to a house dance party at "The Bean" and also be dressed up as "The Bean" (insert pause to reflect on or in front of that). 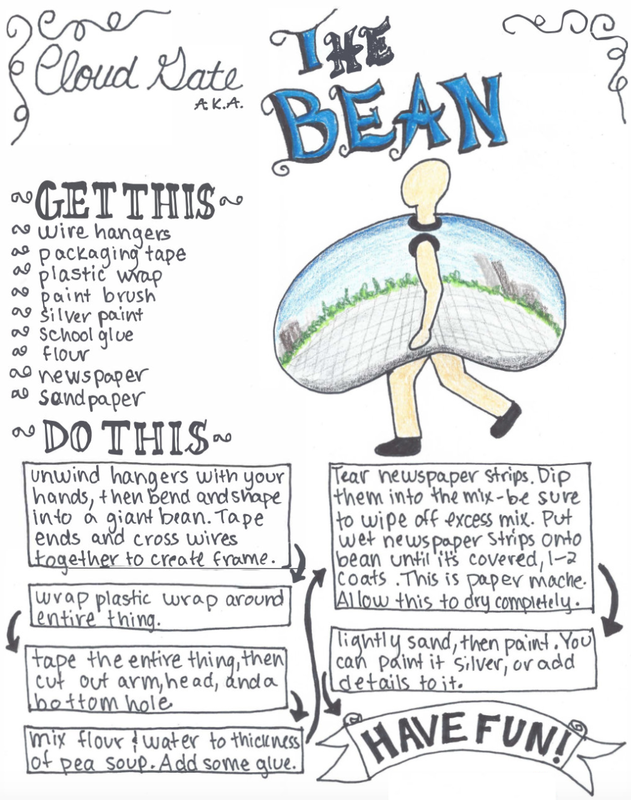 Click Here for more information, and for costume instruction kits of course.